This is a 12 MPixel camera, somewhat superseded by cameras with many more Megapixels. It still proves to be a great performer and is very suitable for much of my photographic work. It is a great camera for high ISO work and I regularly use it for ISO’s up to 6,400. This camera is my favourite due to large number of pixels. It is great for landscapes where it is capalble of capturing a great amount of detail in the images. 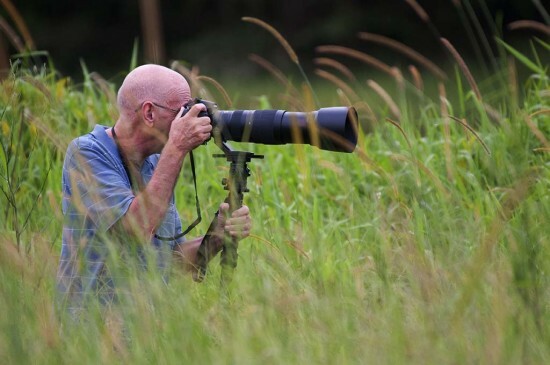 I also find it excellent for nature, animal and bird photography where it has the capability of cropping images to enable the photographer to use shorter focal length lenses but enables me to get sufficient pixels on the required image. An excellent ultra wide lens with superb corner to corner sharpness which I use to a large extent for ultra wide landscapes, seascapes, starscapes. The lens is super for wide night time shooting with a tripod. An excellent lens with corner to corner sharpness which I mainly use for landscapes, seascapes, starscapes. I do not use this lens a lot but it really comes into its own for low light photography. An excellent macro lens for close up photography which also serves as a great general purpose lens. An excellent super sharp macro lens for close up photography which also serves as a great general purpose lens. This is my favourite lens for photographing shy insects close up as it provides an excellent working distance. For many years this lens has ben my favourite for birding particularly when using teleconverters. I use this teleconverter mainly with the above 300mm lens. This is my most recent lens which I am finding so usefull for my bird photography. This backpack makes it easy to take the required equipment into the field with a minimal amount of effort. I have had many backpacks and this is by far the best one. An excellent monopod for use with long and heavy telephoto lenses. I use this panoramic head with the above Gitzo monopod. This is an excellent tripod when you need a very solid base for your camera and that is most of the time when you need a tripod. This tripod would be equivalent to the Gitzo Series 3 tripods. This is an excellent light ballhead which I use with the above Induro tripod. A reasonably high powered flash to provide additional fill in light as required, particularly in dark rain forests. A reflector for the above electronic flash unit. An old light meter I have but very rarely use. A mini tripod too small and light for normal usage. A Nikon cable trigger with combined timer useful for long exposures greater than 30 seconds..
A useful wirelesss trigger to interface with the Nikon 10-pin connector. Nikons standard push buton remote release. A cable extension for Nikon’s 10-pin connector which I have further extended to many many metres for very long cable remote control of my camera. Used together with Lee filters for long exposures with a tripod. L brackets are really great when using a tripod for landscapes, seascapes etc. They enable the photographer to change the orientation of the camera quickly from landscape mode to portrait mode. Again similar to the above comments for the D700. This is a great free processing software to enable you to sort your images and also do some minor processing of your images. Nikons initial complete image processing software for your digital images. It is no lnger current but I still do use this software. NIK software plugins were available for this processing software. This software is Nikon’s replacement for Nikon Capture NX2. This is the photographers complete package for processing images with many function too numerous to mention here. NIK software is one of the most useful plugins for photoshop for the final enhancement of your images. I use this software in particular with the tonal contrast as I love this option.